Rooms from £20 to beat the January blues! Beat the January Blues and come explore the historic capital of Scotland this January. 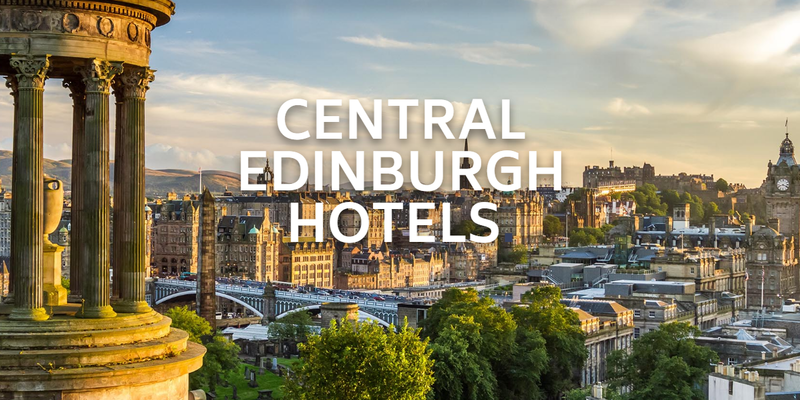 Central Edinburgh Hotels has five unique city centre hotels to choose from, this amazing offer is not to be missed so choose your hotel and book now before it’s gone! Stays from £20.00* per person per night with a bottle of Prosecco in your room for arrival and a 15% food discount card which can be used in restaurant and bars across the city including us here at Biddy Milligans. The Grassmarket Hotel is nestled in the historic Grassmarket of Edinburgh and ideal for exploring the best of what the city has to offer by foot. 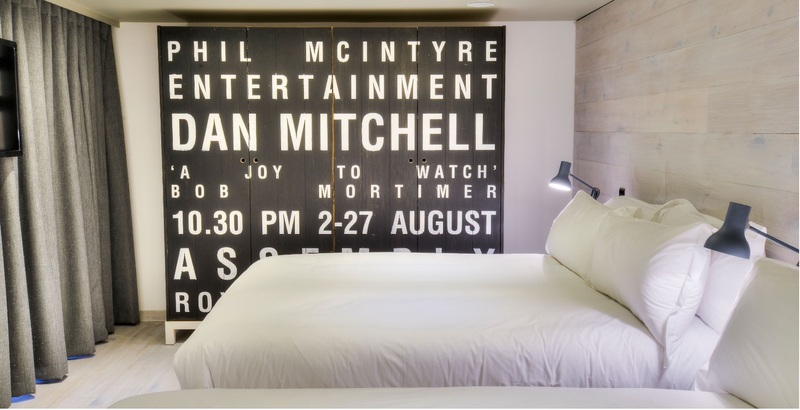 This hotel truly does defy the norm offering 42 bedrooms with distinctive décor and seriously quirky surroundings. 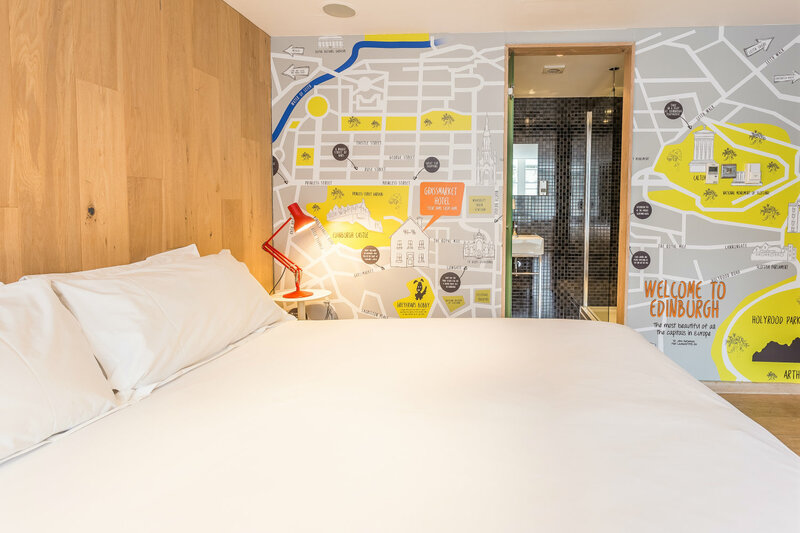 All bedrooms come with magnetic wall sized maps to plan your time in Edinburgh from the comfort of your bedroom, Bluetooth connectivity speaker systems, USB charging points, free WiFi and rainfall showers. Book now from £25.00 per person. Located in the heart of Edinburgh’s electric Cowgate, STAY Central hotel is surrounding the famous lively Three Sisters bar and courtyard and is a short stroll from everywhere. With fresh bedrooms that sleep from one to six guests, STAY Central is ideal for groups and friends to share with style in abundance! All bedrooms come with rainfall showers, free WiFi, iPod docks with in-built speakers and an ideal city centre location. Book now from £22.50 per person. The luxury boutique 4 star hotel is the former home to Scotlands national newspaper. When converting the newspaper printing house into a boutique hotel much care was taken to keep all original architectural features and layout intact. As a result, no two rooms are alike and each bedroom at The Scotsman Hotel is individually designed to offer a unique experience with every visit. 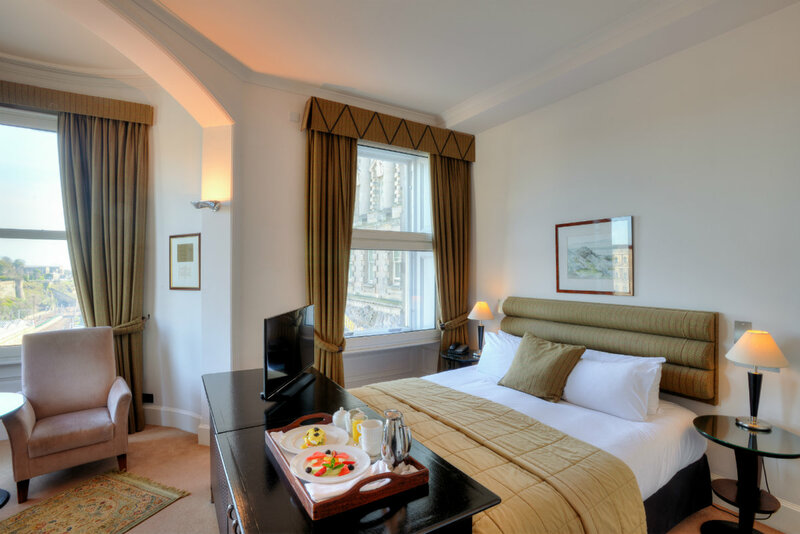 Hosting 72 rooms, the hotel has a range of room types for all tastes with a wealth of Scottish charm with many of the original features that made the building one of the iconic landmarks of the Capital City. Book now from £50.00 per person. Nestled in the West End of Edinburgh with ample complimentary parking, Murrayfield Hotel really is a true home away from home with fantastic hospitality and outstanding value. Looking for a little bit of luxury? Located just one door down from the main hotel, our exclusive Murrayfield House hosts our nine boutique Luxe bedrooms, beautifully designed with comfort in mind. Hosting an intimate 9 boutique bedrooms with crisp and clean interiors and decor in an ideal location on The Royal Mile, it is the perfect base to explore in style. Each bedroom is packed with little luxurious extras including GHD hair straighteners and salon quality hairdryers, iPod docks, fully stocked mini bars, glossy magazines, rainfall showers with The White Company toiletries, free WiFi and comfy beds for a great nights sleep. T&Cs: The above offers are full prepayment at time of booking, non refundable and non transferable and can be withdrawn at any time. *January offer is based on two sharing, per person, per night on a room only basis. From £20.00 at Murrayfield Hotel, from £22.50 STAY Central Hotel, from £25.00 at Grassmarket Hotel, from £35.00 at The Inn on the Mile and from £50.00 at The Scotsman Hotel. All hotels have supplements applying for Friday and Saturday nights and offer is subject to availability. 15% discount card valid from Monday – Friday on food only. © Biddy Mulligans Irish Bar, Edinbrugh Grassmarket 2019 – All Rights Reserved.